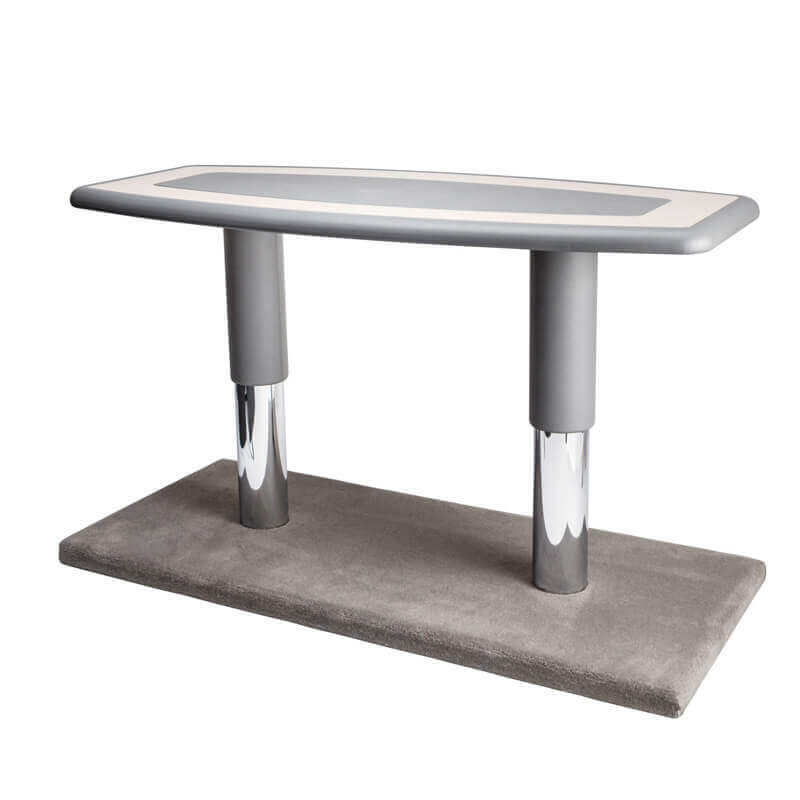 Our tables are manually operated with single or dual pedestals. They are available in two or three point heights so as to be able to stow under a Starling Aerospace Berthable divan. The dual pedestal table is built with a unique stabilisation feature ensuring smooth operation up and down. They are lightweight and easy to operate. The table top is custom built to the size and shape you require for your aircraft. with an option to add folding table leaves and cup holders. 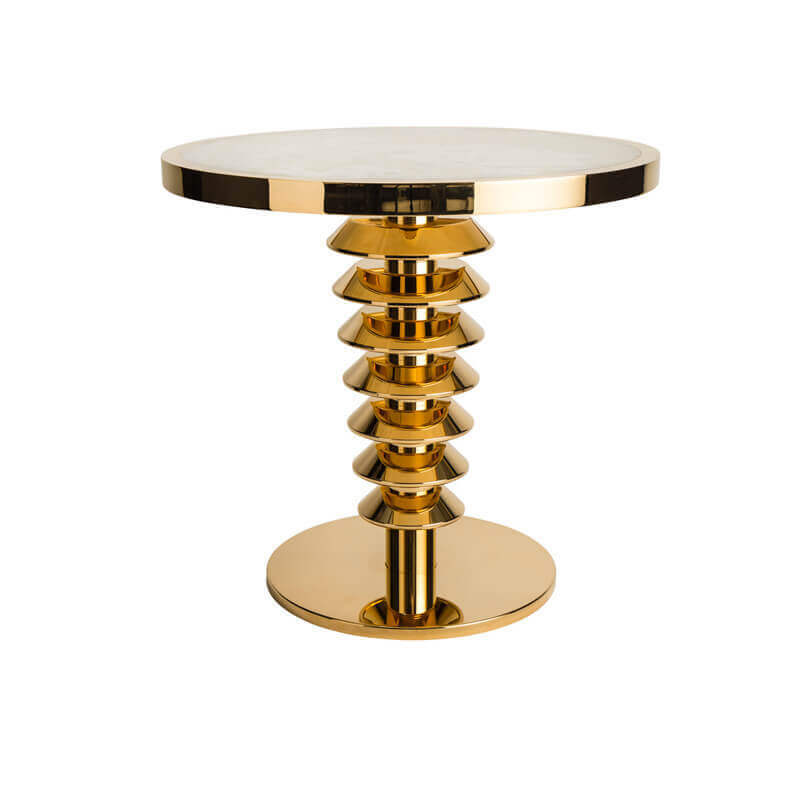 Add a bit of glamour with a glizty tea table which has the appearance of solid gold or silver but is made from lightweight aluminium with a semi-precious stone table top. This clever design can be seat track or pallet mounted for bespoke positioning.